We wish to thank all of you on behalf of Spaziolingue for the very good work you have done for us in the year 2013, especially for your help in transcribing and translating the videos from English into simplified Chinese. The service we received was excellent despite the tight delivery time, and we will certainly use your services again in the future, as we already have. 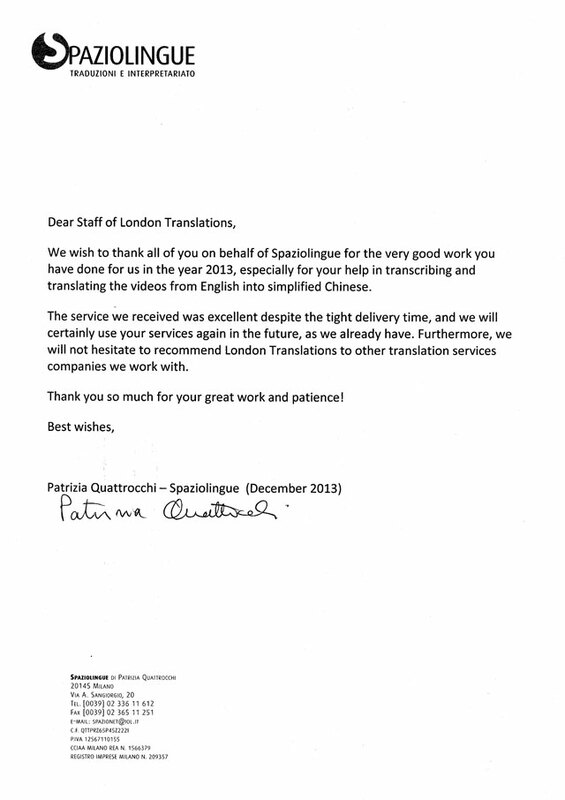 Furthermore, we will not hesitate to recommend London Translations to other translation services companies we work with. Thank you so much for your great work and patience!